A preeminent name in the industry, we are indulged in catering to standard and personalized requirements for solar panel rack. The company has its own manufacturing facility laced with modern amenities and facilities thus, precise solutions and on-time completion are guaranteed. 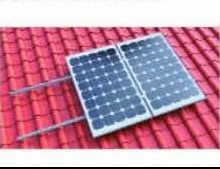 Doorstep shipment and safe deliveries are what make us a preferred solar panel rack exporter in Israel. We are certified to manufacture, export and supply solar panel racks throughout the world. So, whenever you seek dependable solar panel rack manufacturer, in Israel, that can undertake your massive and retail requirements, count on us.